The La Jolla Association and the San Diego City Attorney’s office agree, if the members of the LJCPA want to impose a Floor Area Ratio (FAR) requirement in the La Jolla Shores, the La Jolla Shores PDO must be amended and/or rewritten with input from the entire La Jolla community. As stated by Erin Demorest (Sherri Lightner’s representative), “San Diego City Attorney’s office believe it is unlawful for the LJCPA to revise selected provisions of our La Jolla Shores Planned District Ordinance (LJSPDO) without comments from the residents of the La Jolla community”. The La Jolla Association believes the LJCPA capricious FAR’s could reduce property values in La Jolla Shores by as much as 25%. None the less, a motion presented by Vice President Rob Whittemore was passed at a previous meeting to recommend the San Diegi City Council impose a citywide FAR requirement in La Jolla Shores without diminishing the effect of the other provisions in the LJSPDO. 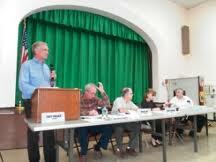 Their vote was despite the fact that when the City of San Diego passed the LJSPDO in 1974, leaders in La Jolla Shores decided not to incorporate the FAR measurement into the LJSPDO requirements. Instead, along with the San Diego Municipal Code they used the La Jolla Shores Design Manual to measure and control the bulk and scale of proposed developments in the La Jolla Shores.